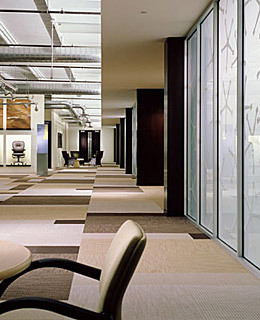 Make a great first impression on clients and customers when you choose KIWI Services for your thorough Fort Worth commercial carpet cleaning. KIWI is well-known for our deep and delightful cleaning process — which systematically eradicates unsightly stains and spills and eliminates gross odors using safe and eco-friendly carpet cleaning formulas — that leaves behind a fresh, citrus scent and dries in just 15 minutes. A regular carpet cleaning is recommended for all kinds of professional environments, including office buildings, churches, daycare centers, industrial facilities, banquet halls, doctor’s offices, conference centers, call centers, retail stores, malls, movie theaters and restaurants. KIWI Services Fort Worth is licensed, bonded and insured. This means that, by outsourcing your business’ carpet cleaning needs to us, you eliminate the risk of premiums like worker’s compensation claims. What’s more, using KIWI is fully tax deductible. Typically, the IRS doesn’t allow you to fully deduct your employees’ time when performing routine cleaning and maintenance, but will recognize the full cost of a commercial carpet cleaning as a legitimate business expense when you hire a professional service. We will gladly schedule your commercial carpet cleaning around your business hours to ensure that you don’t lose out on valuable business. Plus, KIWI Service’s expert carpet cleaning team takes care of everything for you, including moving and replacing furniture. When you choose KIWI Services for your commercial carpet cleaning in Fort Worth, you’re choosing a company with 30 years in the industry that will gladly guarantee our work. Call us today to get a free quote on your business’ carpet cleaning needs.